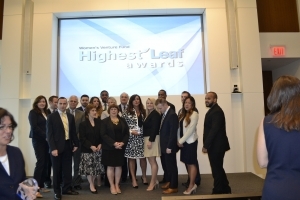 Thank you for making the Summit a success! 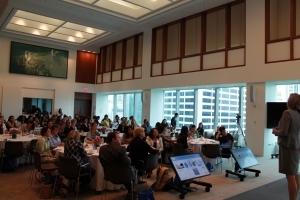 Our TakeFLIGHT 2015 summit was a resounding success! 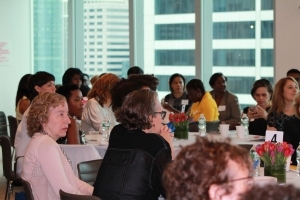 Close to 100 entrepreneurs attended and participated in active workshops and talked directly to successful business leaders about their strategies and challenges. The day begins with the breakfast ceremony celebrating the five recipients Highest Leaf Award. 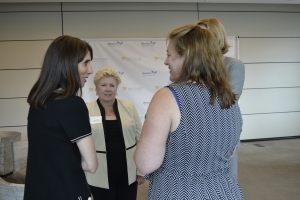 Pam DeLuca (far right), Assistant Director of WVF, greets several of the day’s speakers. 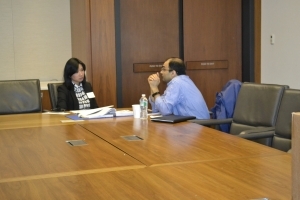 Founder of ModaBox, apparel company receiving advice from Sachin Jade, one of three participating angel investors. 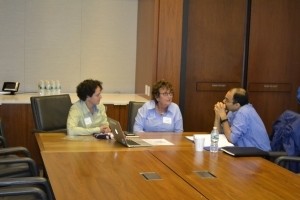 Co-founders of TomBoxX deliver spirited pitch to Sachin Jade, angel investor. 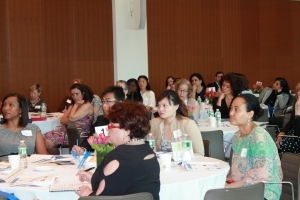 Participants hear Breakthrough Moments during the opening of the program. 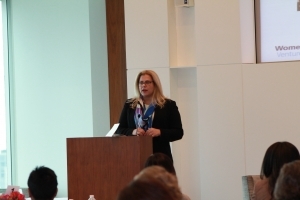 Speaker Charlene Prounis, Flashpoint Medica, at the Clearing Hurdles to Success workshop. 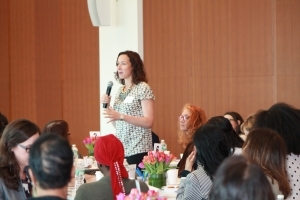 Participant engages with Take FLIGHT speaker. 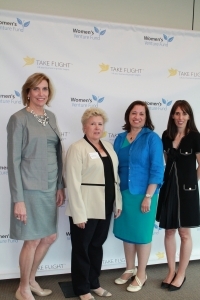 Take FLIGHT speakers with Maria Otero, Founder and CEO of WVF. 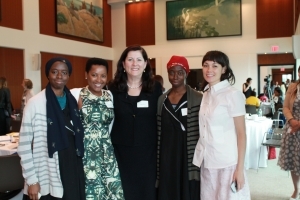 Speaker Angela O’Byrne with WVF clients. 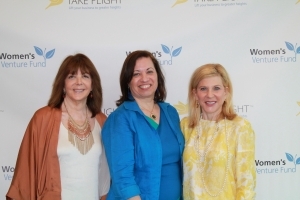 Maria Otero with speakers Robin Koval and Linda Kaplan Thaler. Speaker Alexa Hampton, Owner of Alexa Hampton, Inc. and Mark Hampton LLC leading the Slaying Your Demons workshop. Take FLIGHT workshop audience.